A couple of days ago I posted about the wonderful prizes/surprises I received in the mail. 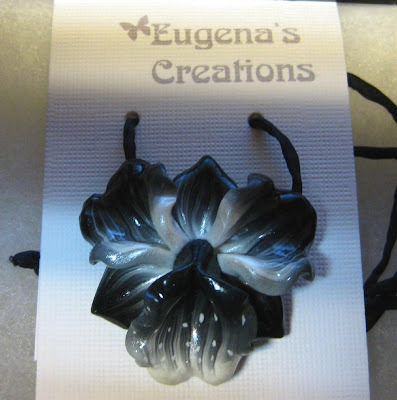 One of the items was the terrific chameleon pendant from Eugena of The Polymer Clay Chameleon. 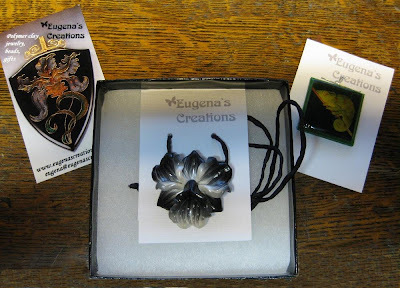 I emailed Eugena to thank her and she wondered if I had found the second little item she had sent. Um, no.... This lovely, sweet AND talented woman had hidden a little birthday gift for me under the filling of the box. 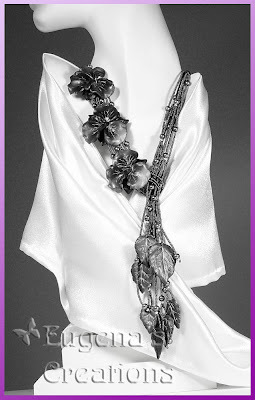 That gift is the beautiful sculpted orchid necklace shown above. I love surprises and this was a double one! WhooooEEEE! 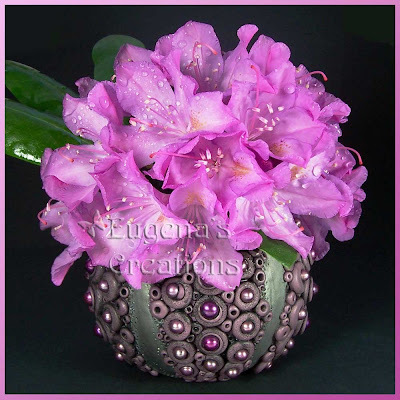 If you have not checked out Eugena's shop on Etsy, please do so,she is a multitalented artist and offers beautiful jewelry, vases, and tutorials. 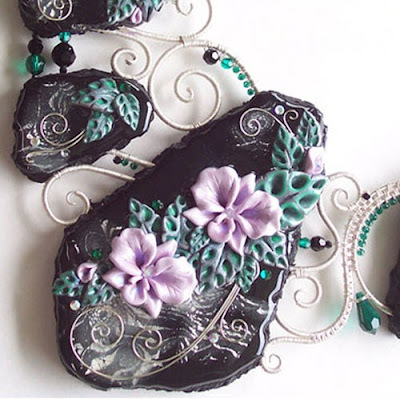 I am posting a small sample below, because selfless woman that she is, Eugena profiles other polymer clay artists on her blog, but not her own work, which is truly exceptional. and oodles of tips and information. Again, Eugena, I thank you for your generousity and thoughtfulness. How fortunate that she asked about it! Wow, a "two-for-one"! 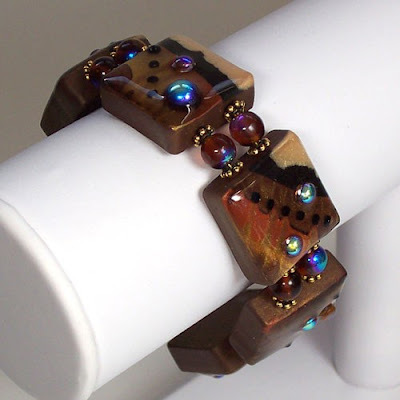 That is so wonderful of her, and she is an amazing jewelry artist! Thanks for the profile on her..will look her up. I am sure you will enjoy your gift, it looks wonderful! WOW!! What gorgeous jewelry!! I am sure glad you found the birthday present she sent you. You are very nice to spotlight her site. I am off to look at it. By the way, Happy Belated birthday!! Wow what a gift! Aren't you lucky you found the Bday gift that was hidden!!! The bracelet is my favourite. Can you guess who I'm going to see on your videos. That's right, my new crush. Wow, Sue, thank you for the post and all the compliments. How nice of you! ooh! how lovely is that orchid?!? she really does have a gift with polymer clay, doesn't she. Fantastic. What a talented artist! Such detail! Must visit her shop to see her other work.